Below the radar of mainstream media, there is a debate raging in the football (soccer) world in the USA and Canada). At the centre of the debate are U.S. Soccer (FIFA’s representative in the United States) and Major League Soccer (MLS). U.S. Soccer is responsible for, among other things, sanctioning professional football leagues. MLS, as the designated first division men’s league, is the standard bearer for the professional game in the USA and Canada. MLS is also the symbol we hold out to the world and the yardstick of our progress. Even so, after 20 years when we ask: what does MLS stand for? We are forced to respond – mediocrity. There is a global standard of excellence for football, and MLS simply does not measure up. That global standard of football excellence at the league level can be found in the English Premier League (EPL) and the German Bundesliga. At the club level, it is Real Madrid, Barcelona, Bayern Munich, Paris Saint-Germain, Manchester United, Manchester City, Liverpool, Chelsea, etc. These leagues and clubs have their detractors, but in terms of revenue generation, attendance and setting the global standard of excellence, both on the field and off, they have no peer. The four dominant sports leagues in the USA and Canada (the so-called Big Four), the NFL, Major League Baseball (MLB), the NBA and the NHL, represent respectively, for each of those sports, the global standard of excellence. Measured against domestic standards of excellence, using the Big Four as benchmarks, or measured against international standards of excellence with the EPL and the Bundesliga, MLS comes up woefully short. In fact, since 1968, and the founding of the first North American Soccer League (NASL), no league, men or women, has been able to unlock the conundrum of the revenue generating potential for football in North America. MLS has had 20 straight years of losses. In 2014, MLS’s losses were in excess of USD 100 million. 2015’s losses at the same magnitude or more, will be a repeat of a two decades long vicious cycle. There are four professional football leagues in the USA and Canada: MLS, NWSL, NASL and USL Pro. Those four leagues, which operate independently (with no relegation) represent 64 teams for the 2015 season. After MLS’s 20 years in business (2015 was its 20th year), one fact tells a sad story: Real Madrid, which according to Forbes and Deloitte is the world’s most valuable sports franchise at USD 3.3 billion, generated more revenue in 2013-14 (USD 750 million-plus), than all four of the professional football leagues in the USA and Canada and their 64 teams combined. Take some time and think about that. Let it sink in. One European club, which is fan owned by the way, generated more revenue and is worth more than all four leagues and their 64 teams combined in the USA and Canada – two of the richest countries in the world. MLS’s recent eight-year TV contract (2015-2022) for USD 90 million/year (which MLS shares with U.S. Soccer), coupled with its recent collective bargaining agreement (CBA) with the players for five years, and an average stadium size of 21,000+ across its current 20 team league, means that the next decade of MLS’s underperformance and losses is practically guaranteed. That will be 30 straight years of losses. What kind of business model is this? We have been told repeatedly that MLS is a single entity. It is and it isn’t. The truth is that MLS has divided the balance sheet between Delaware legal vehicles. MLS is an LLC focused on the expense side of the balance sheet, and Soccer United Marketing (SUM), a separate LLC, is focused on the revenue side of the balance sheet. All of MLS’s investor-owners have invested in the Delaware LLC – hence, the single entity idea. At least some of these same owners have invested in SUM. SUM, in theory, is divided on a pro rata basis amongst the 20 owners of MLS. Except for two things. First, we have no idea what SUM’s cash flows are and what cash flow obligations there are (for instance, are all revenues that SUM generates obligatorily divided pro rata amongst the 20 owners or are they used to off-set MLS’s expenses, or does SUM hold the prerogative of reinvesting those revenues and ignoring MLS’s liabilities? ), and second, Providence Equity, a private equity firm, holds 25 percent of SUM, which it acquired a few years ago, according to news reports, for USD 150 million. That would give SUM a valuation of USD 600 million as of 2012. This raises some additional questions. One of which is why would MLS divide up its balance sheet between two legal vehicles? In answering this question, let’s be as rational and business savvy as possible, recognising that we have no access to audited financials or tax returns. f MLS has publicly declared USD 100 million-plus in losses (a 20-year trend, and these numbers have been subsequently corroborated by MLS officials), it means that those losses are being passed along to the 20 owners of the MLS LLC as losses allocable on a pro rata basis. LLC’s are pass-through mechanisms, meaning that gains and losses get passed through directly to the owner-investors of the LLC for tax purposes. Hypothetically, that means for say USD 100 million in losses at the MLS LLC level, each owner would absorb those losses via a 1/20 share or USD 5 million in tax loss carry forwards, when they are passed through the LLC to the owners above the LLC at tax time. What about SUM’s revenues? Again, are those revenues being offset against MLS’s losses, so that the publicly admitted MLS losses of USD 100 million-plus last year are inclusive of SUM? Or are tax returns being filed and losses declared on the MLS LLC and SUM separately? Again, we have no way to know. The one thing we do know, is that if USD 5 million in average tax loss carry forwards are being generated annually for each of the 20 MLS owner-investors, the owners can certainly utilize those tax loss carry forwards at their respective business ventures above the LLC (note: we have not mentioned the off-balance sheet Beckham Rule player costs that each owner is responsible for – although they very well may be part of the tax loss carry forward picture, nor have we mentioned the CAPEX for stadia construction, which is also off-balance sheet). Which brings us to a conclusion: from a tax perspective and on an annual operating basis, MLS as an investment is a wash for the owners. In short, there is no financial incentive to change. And worse, no financial incentive to generate, much less maximise revenue. In fact, there may even be an incentive to limit revenue growth so as not to jeopardise the creation and flow of tax loss carry forwards. Given that many of MLS’s investors are billionaires, each of them can find innumerable legal vehicles and ways to reduce taxable income in other business units by simply upstreaming the tax loss carry forwards. Just as importantly, MLS has awarded four new franchises in Atlanta, Minnesota, Miami and Los Angeles. If each of those owners builds a 30,000 seat stadium, that will increase the average stadium size in MLS to 22,500 from roughly 21,000. Again, based on the recent TV contract (MLS must share a portion of that USD 90 million a year with the USMNT and Providence Equity), the new CBA and average stadium size, MLS’s revenue upside has reached a glass ceiling. In short, mediocrity and second tier status (when measured against our global benchmarks of the EPL and Bundesliga) has been institutionalised at the highest levels of the game in the USA and Canada. MLS is generating less revenue after 20 years, than respectively, the English and German second divisions. The EPL’s latest TV contract is for USD 2.6 billion per year. That is about 27 times greater than MLS’s TV contract. 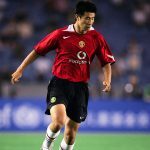 Manchester City’s payroll for 25 players (USD 200+ million) is more than the entire payroll of MLS, including Beckham Rule players (over 600 players), and MLS’s entire league and team administrations. Given MLS’s 20-year performance, if this occurred in any other industry vertical, it would be time to fire the management team, replace them and restructure the company and/or sell off the assets. In truth, the only on-field global standard of excellence that the USA can point to is the USWNT. Their 2015 World Cup campaign and their spectacular performance in the final (which garnered the largest TV rating of any football game in USA history, men or women) is testament to more than two decades at the top (or near it) of the world rankings. When we ask what did MLS contribute to the USWNT, the answer is not much. Possibly nothing. However, one could argue that by keeping the game alive at the pro level for the men, MLS has maintained the flame alight, and this in turn has helped the women’s game (as well as the men’s game for that matter). Concretely, however, and statistically, MLS’s contribution to the women’s game is very difficult to measure. Everyone knows that the women did not win the World Cup in 2015 (or any World Cup or Olympics for that matter) by relying on a thriving foundation of a massively successful women’s league in the USA and Canada. Which begs the question – why can’t the men do the same? Why can’t the men win a World Cup without having a world-class league (or any league at all)? The answer is very simple. On the men’s side there is too much global competition. The global standard of excellence is too high. Only with sustained training, on-field practice and professional games at the highest level day-in and day-out, can any country hope to field a competitive men’s team to win the World Cup. And by the way, it isn’t enough to win it once. To establish a global powerhouse reputation in this sport, you need to have won the World Cup several times. In this context, the USA needs to face one essential fact: we are the equivalent of a developing third-world nation in the world of men’s football. We have no reason or justification to have swagger. Much less be arrogant. The USA has accomplished very little, outside of staging the 1994 World Cup, which was admittedly a resounding success. But on the field, what have our men accomplished? Even our women, who are clearly world class, get scant attention, much less funding and media coverage unless it is a World Cup or Olympic year. Lamentably, for the other three years and 11 months until the next World Cup (or the next Olympic Games), the women will be marginalised – marginalised financially, in terms of media coverage and exposure, and marginalised in terms of their very own global standard of excellence, because the league they play in, NWSL, and the clubs they play for in the USA, fail repeatedly to translate into any meaningful form of monetisation. NWSL is subsidised by the football federations of the USA, Canada and Mexico. Without that subsidy, we would bear witness to a third failed women’s league in the USA and Canada. Interestingly, one obvious question to be asked is this: if the USWNT is stocked with women who are world-class and who trained for years in our youth system and then refined their skill sets in the NCAA (almost without exception), why can’t the men do the same thing? The men do it with the NFL, the NBA, MLB and the NHL – why not football? The juxtaposition of the football debate about excellence versus mediocrity, manifested itself in comments made by USMNT head coach Jürgen Klinsmann, who publicly declared and encouraged his players to choose Europe (the global standard of futbol excellence) over the United States and implicitly, over MLS, because only by being exposed day-in day-out to the world’s best competition, can the players on the USMNT become truly world-class, and ultimately, challenge for global respectability according to the highest global standards of the game, both on the pitch and off. Klinsmann’s statements were countered publicly by MLS Commissioner Don Garber. Don Garber’s comments in response were just shy of asking for Klinsmann’s head, but the debate was and still is about excellence versus mediocrity. In the USA today, and across the entire football pyramid, from U.S. Soccer to the lowest rungs of youth football, the global standard of excellence in the USA has two points of reference: the USWNT and Klinsmann. The pressure that Klinsmann is under, particularly after the recent loss to Guatemala in World Cup 2018 qualifying (which was reversed with a win against Guatemala shortly thereafter), and after last years 3-2 loss to Mexico at the Rose Bowl (with the winner going to the Confederation’s Cup in Russia in 2017), and the prior failure to make the CONCACAF Gold Cup final, is ironic. We expect the USMNT’s coach to deliver world-class results without having a team of world-class players. What standard of excellence are we holding MLS to? Why we are holding Klinsmann to a higher standard than Don Garber is anybody’s guess. In a very real sense, Klinsmann’s problem at the national team level, is directly related to Don Garber’s and MLS’s underperformance. And maybe, just maybe that is why Don Garber reacted with such vehemence to Klinsmann’s statements. Because indirectly, Klinsmann is saying, whether we want to hear him or not, that MLS is not world-class and has no prospect of becoming world-class any time soon – certainly not within the next decade. People want Klinsmann to perform miracles. For Don Garber everyone is perfectly content with his strategy of slow and steady growth. In fact, slow and steady growth is a misnomer. MLS’s growth strategy has at its essence another agenda, namely, maintaining the status quo. Maintaining the status quo for MLS, means securing its place as the top professional league in the USA and Canada, irrespective of whether it is in reality a second or third tier league when compared against the global benchmarks. In any valid analysis, MLS must be constantly compared against the global standards of excellence for this sport – and right now that means Europe. When compared to Europe, particularly at the league level with the EPL and Bundesliga, and at the club level with Real Madrid, Barcelona, Bayern Munich, Manchester City, Manchester United, Chelsea, Paris Saint-Germain, etc., MLS is losing ground, not gaining it. In fact, MLS has lost ground over the past 20 years not gained it. MLS has established its own myth to the contrary, and that myth has been sold to the press and the public extremely well. The European leagues since MLS’s inception in 1996, have outgrown, outspent and created an increasingly better product. The gap with Europe widened from 1996 until now, and promises to widen further. The essence of the irony is that Don Garber gets consistent pats on the back for a job well-done, while the very product he has created and manages is the exact problem that Klinsmann has to face every day – we are not producing world-class talent in the USA. It is just that simple. Klinsmann, even as technical director, cannot correct the wrongs at the top. And it is the top that dictates what happens at the bottom. The inspiration from pro sports leagues and the wish for dollars always trickles down. We all know this. The NFL, the NBA, the WNBA, MLB and the NHL, hold the keys to providing young athletes with the incentive to aspire to greatness and aspire to a global standard of excellence. Not to mention the money. Each of those leagues is the global standard of excellence in its respective sport. The best athletes in the USA groom themselves for years to reach that professional league standard of excellence. Until the top of the pyramid, currently occupied by MLS, mirrors that same global standard of excellence, our best athletes and the money will not flow, either up or down the football pyramid. Here is the answer to the question we asked earlier. The USA women have developed their skills along the years through a system and via infrastructure that is world-class when compared to women in the rest of the world. No other country in the world has an NCAA. Europe, particularly Western Europe, has the equivalent of an integrated club system, which has global standard of excellence professional men’s teams at the top of the pyramid, which in turn support (financially) professional women’s teams and the youth teams and infrastructure below. By way of comparison, the USA women are getting at least the same attention, support and infrastructure as their best competitors in Europe, Latin America and Asia, and in many cases it is better or the best in the world. However, this should come with a caveat. The USA has not been able to sustain a women’s professional league to match the best professional women’s leagues in Europe, and this is for a very simple reason. Because those leagues in Europe in large measure, are built on top of or alongside successful men’s leagues and clubs, and a well-organised pyramid below. The women of Europe usually play under the same club brand as the men (there are exceptions of course). But if you look at the UEFA women’s tournament, big name clubs represented by women are the norm. NWSL isn’t quite there yet, and I would argue that NWSL will never get there, under our current system. Our professional game in the USA and Canada is fragmented and dysfunctional. We have four independent leagues (MLS, NWSL, NASL and USL Pro) across three divisions with no relegation. There is some cross-fertilisation between the leagues. For instance, the Houston MLS franchise is also the ownership group for the Houston NWSL women’s team. MLS’s Orlando franchise is preparing to field both a men’s and women’s NWSL team. MLS is also cooperating with USL Pro, to obligate MLS owner’s to establish the equivalent of minor league farm teams in USL Pro. These, however, are not differences that make a difference. At the level below the professionals, youth, amateur, etc., we have a plethora of organisations, which make up the bottom of the pyramid. This level, despite the tremendous time and money spent annually largely by volunteers and families, is also fractured and in many ways also dysfunctional (the whole pay-to-play model needs rethinking, if not outright abandonment and substitution). There is something wrong. U.S. Soccer, which is responsible for managing this football pyramid from the neutral position of an administrator, has recently proven to be anything but neutral. The Yedlin case is a clear indication that U.S. Soccer has taken sides with MLS, to the detriment of youth football. What does this mean? From the perspective of the global standard of football excellence, it means that U.S. Soccer is taking the side of mediocrity, and worse, institutionally reinforcing it. As it stands USA youth clubs have no incentive to develop world-class players. Because under the current scheme, U.S. Soccer allows MLS to stand-in and receive those clubs FIFA solidarity payments when young talent signs with a foreign professional club. There may be a perception that MLS has deep pockets. Certainly, the profiles of the MLS owners would lead one to believe that that is the case. But in truth, the MLS business model is structured to avoid leveraging their wealth. The MLS salary cap this year is USD 3.5MM per team. In the EPL, the average salary per player is the equivalent of USD 3.8MM per year. Which brings us full circle to the men’s game. Strong arguments can be made that the off-balance sheet expenditures for Beckham Rule players would be better applied to our youth, and particularly to eliminating the pay-to-play model. But let’s look at other key metrics, that clearly indicate that the MLS strategy of maintaining the status quo and institutionalising mediocrity, is undermining not only Jürgen Klinsmann and the USMNT, but the entire football pyramid. We already mentioned that last year, Real Madrid (a team owned by its fans), generated more revenue (USD 750MM) than all four professional football leagues in the USA and Canada and their 64 teams combined. The Dutch first division league, Eredivisie, generated more revenue last year USD 550MM than MLS (USD 450MM). Holland has a population of 17 million people. The USA and Canada have 352 million. These European and USA football statistics are from Deloitte’s Annual Review of Football Finance 2015 – Revolution and Forbes. When one club in Europe is more valuable than the entire first division league in the USA and Canada, MLS, something is wrong. But in addition, when that same club (and there are others) is also more valuable than all four leagues in the USA and Canada and their 64 teams combined, something is terribly wrong. What is wrong with the men’s game? The answer is simple. We do not have a league in the USA and Canada that can compete with the best leagues in Europe (or Latin America) day-in, day-out. That is the problem. It is not Jürgen Klinsmann. Even taking into account the competition of the Big Four (the NFL, the NBA, MLB and the NHL), the NCAA, NASCAR, and dozens of other entertainment options that compete with live sports, MLS and professional football generally is underperforming, and dramatically so, across the five key revenue drivers of football: (1) venues, (2) TV, (3) commercial, (4) talent and (5) competitions. These circumstances force us to face a brutal fact: MLS cannot and will not get us to parity with the EPL and Bundesliga (as global benchmarks) under its current managerial regime and with its current business model and branding strategy. As a nation, we are locked into a mediocre product. If MLS has its way, this prison of mediocrity will be with us for at least the next decade, and possibly beyond. Approximately 66 percent of MLS’s revenues come from stadium gate receipts. Commercial revenues (corporate sponsors and merchandising) represents roughly 24 percent, with TV making up the last 10 percent. MLS’s revenue from talent and competitions is marginal, particularly when compared to the revenues generated by those two categories in Europe (with UEFA) and Latin America. If we rely on the three main revenue drivers of professional football, venues, TV and commercial, it is clear that MLS has placed a severe revenue cap on its own future. 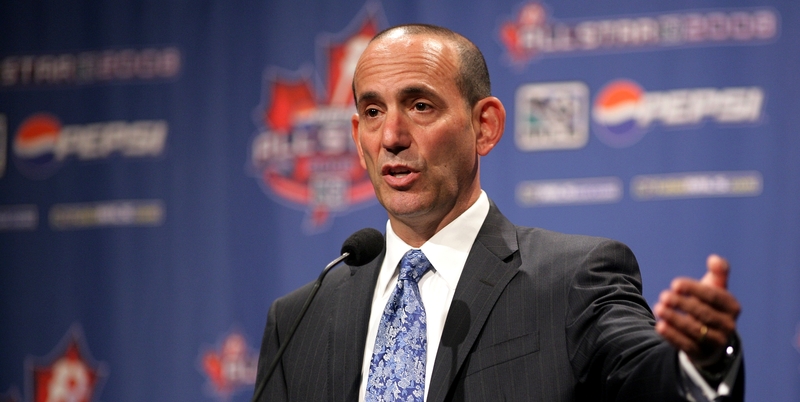 This year Don Garber announced for the first time, that MLS would expand beyond 24 teams. The reason behind that move is simple. The only meaningful revenue source that Don Garber has are expansion fees. Closing the door at 24 teams means that Don Garber and MLS would be publicly shooting themselves in the foot. All other revenue streams are capped or virtually non-existent. League expansion keeps up the ruse that MLS is improving financially. Nothing could be further from the truth. Publicly, the performance comparisons are always limited and usually linked to MLS attendance figures as they compare to the NBA and the NHL (both the NBA and the NHL are drawing roughly 17,500 per game in indoor arenas, while MLS last year averaged about 22,000). But if honesty, transparency and full disclosure guide us, we need to ask about MLS’s full revenue generating picture. The NBA generated around USD 5 billion in revenue in 2015. The average NBA franchise is worth over USD 1 billion. The NHL generated nearly USD 4 billion in revenue over the same period. MLS is generating a bit more than 1/10 the revenue of the NHL. MLS’s current investors are impressive by any global standard. We have to assume that they are also extremely busy. Because if the MLS owners took a closer look, they couldn’t help but see the league as an underperforming asset. But is MLS an underperforming asset? Particularly, when new franchise entry fees for New York City and Los Angeles are in the USD 100MM range? Isn’t increasing franchise value the name of the game? If so, then the argument goes, Don Garber and MLS are doing a good job. Possibly even a very good job. This MLS illusion is best captured in official statements from Commissioner Garber, that MLS will be one of the best leagues in the world by 2022. Global status all boils down to revenue. In 2014-15, the NFL generated revenues of USD 10 billion, Major League Baseball came in at USD 8 billion, and for 2014-15 the NBA was at USD 5 billion and the NHL at USD 4 billion. In 2013-14, the EPL generated revenues, which were the equivalent of USD 4 billion, while the Bundesliga generated the equivalent of USD 2.6 billion. For hypothetical purposes let us assume that MLS generated USD 450MM in revenues in 2014. If we assume 5 percent growth in revenues across the cited leagues until 2022, it means that in 2022 the NFL would generate revenues of USD 15.1 billion, Major League Baseball would generate 12.4 billion, the NBA 7.8 billion, the NHL 5.1 billion, the EPL 6.2 billion and the Bundesliga 4.0 billion. Assuming the same rate of growth over the same period for MLS, would bring MLS to 730MM in revenues by 2022. Two things are apparent. First, applying the same growth rate means the gap between MLS and the other leagues doesn’t close over that time period (or any time period). Second, unless MLS has a higher growth rate than the other leagues, the gap will stay the same, or in a worst-case scenario widen further. Put another way, and using the EPL and Bundesliga as benchmarks, without a change in its business model and branding strategy, MLS’s professed goal of being amongst the world’s great football leagues will not happen. Under the scenario outlined above, for MLS to bring itself to par with the Bundesliga it would have to grow not 5 percent over that period, but 25 percent a year, to arrive at the projected Bundesliga target of USD 4 billion. There is absolutely nothing to indicate that MLS is ready to make the changes that would put professional football on a different footing to generate that kind of revenue and growth. We haven’t even discussed the business plan implications and pressure that 25 percent compound growth for several consecutive years entails. It is clear that MLS’s leadership believes strongly in its current business strategy and is content with its current plans and the status quo. Part of the status quo means not having to worry about 25 percent growth rates. Maintaining the status quo is MLS’s goal. The status quo is being the premier football product offering for the USA and Canada (while ignoring the global standard of excellence). If someone were to ask MLS officials what they mean by MLS being one of the best leagues in the world by 2022, that is, based on what criteria, they would be hard pressed to answer. If they say attendance, then most assuredly MLS will be drawing less than our English and German first division benchmarks, because right now MLS is below both those nations second divisions in attendance. If they mention any of the five revenue drivers of football, European benchmarks will again dwarf MLS. MLS is the lid on the pressure cooker of demand for the sport in the USA and Canada. MLS’s goal is a specific and strategic kind of growth – namely, growth to maintain occupancy of the top professional space in the USA and Canada. That is all. No more and no less. The rank and file of U.S. Soccer, the people who are in the field, who are the heart and soul of this sport, who stretch their pocketbooks daily to support youth soccer, who pack up the kids and drive long distances, are being ignored. The kids themselves do not have a global standard of excellence to aspire to. Worse, they are being taken for granted. The rank and file votes have been diluted inside U.S. Soccer. Their influence has been marginalised. The grassroots supporters of this sport, both suburban and urban, deserve better. No business plan exists at MLS (much less at U.S. Soccer) to unleash the sport’s full potential in the USA and Canada. On the contrary, if any third party proposal (non-MLS) or even a proposal from a current and/or new MLS owner comes to the table at MLS headquarters and suggests changes to maximise the revenue at the league and club level, the proposal will be categorically rejected. MLS has no interest in revenue maximisation. More importantly, MLS has every interest in making sure that no one else is able to maximise the revenue for professional football in the USA and Canada. That includes other leagues or groups that want to maximise revenue and promote a world-class professional model. U.S. Soccer in this context, will have to stand its ground. It could remain neutral, but it also has the option of supporting the global standard of excellence – even if MLS is against it. The entire pyramid below the professional ranks, must take a stand in favor of the global standard of excellence. It will take a critical mass of MLS owners to change the league, and logically and logistically, that critical mass will only come together, when there is a consensus amongst the owners on the new route to be taken. Today for the owners, how to migrate from mediocrity to become the global standard of excellence is not clear. Arriving at such a consensus will be difficult, if not impossible. Not only because each owner has all-consuming multiple responsibilities outside the league, but because the complexity of changing course involves a question of planning, execution, leadership and most of all vision. Such change cannot be expected to originate at MLS. There are no Jerry Jones’s in MLS, where the owner has placed his heart and soul in the team and pulls out every stop to maximise that team’s revenue and its success on the field and off, on a full-time basis. In a sense, MLS’s single entity structure is there to thwart the possibility of MLS’s own version of Jerry Jones. One owner (or sub-ownership group) will not be able to turn around the Queen Mary that is MLS. But what is possible is a grassroots football supporter’s movement that originates below the professional level, brought together under the banner of the global standard of excellence. This would be a movement that empowers the fans to take control of their own football destiny. In so doing they will shape the future of the sport and create a true global standard of excellence in the USA and Canada. Until that happens, there will be a vacuum at the top of football pyramid in the USA and Canada, for a professional league that rivals the EPL and Bundesliga.